Worms W.M.D is developed and published under the banner of Team17 Digital Ltd . This game was released on 23 rd August, 2016 . You can also download Kaiju A GoGo . 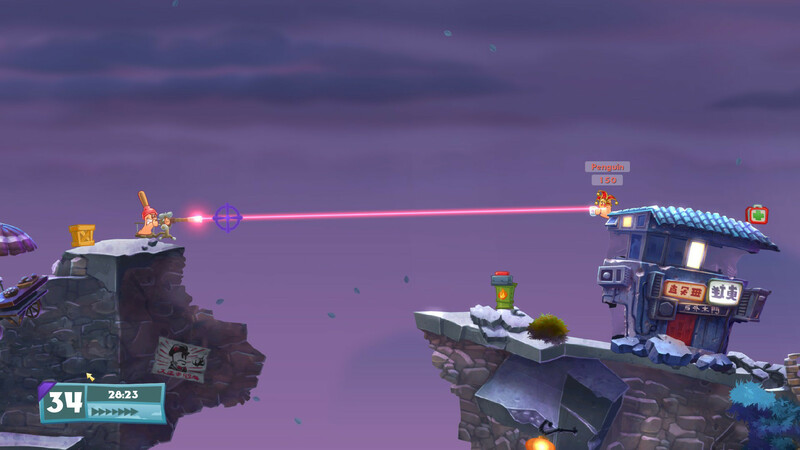 Worms are back and they are back with a BANG This must be the most destructive Worms game ever. 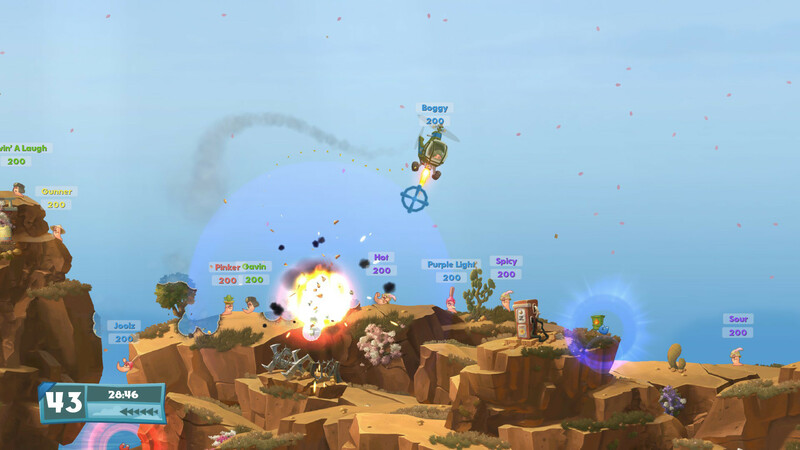 Worms WMD PCgame has introduced some new weapons, vehicles, buildings. The world acclaimed weapons and gameplay has also been returned. Use these new as well as classic weapons in 30 different levels which will increase in difficulty as you advance in the game. You have got loads of new vehicles which you can use to create mayhem among the ranks of your enemies. Buildings play a vital role to dominate in the battlefield so you can use them as well. The game has got awesome 2D digitally painted artwork. You can craft different things from the craft crate which are dropped from the sky. You have access to more than 80 weapons which includes Dodgy Phone Battery and OMG strike etc. The game supports single player as well as online/local multiplayer warfare. You can also download A I Invasion . Following are the main features of Worms WMD that you will be able to experience after the first install on your Operating System. Worms are back with a bang. Introduced new weaponry and gameplay. Got 30 different levels which increase in difficulty as you advance. Got loads of new vehicles. Can have access to 80 different weapons. Supports single player as well as local/online multiplayer. Before you start Worms WMD Free Download make sure your PC meets minimum system requirements. Click on the below button to start Worms WMD. It is full and complete game. Just download and start playing it. We have provided direct link full setup of the game. This entry was posted by OceanOfGames on February 11, 2017 at 4:07 pm, and is filed under Action, Strategy. Follow any responses to this post through RSS 2.0. You can leave a response or trackback from your own site.